THIS COMPETITION IS NOW CLOSED! Follow @ohhdeercompetitions for updates! 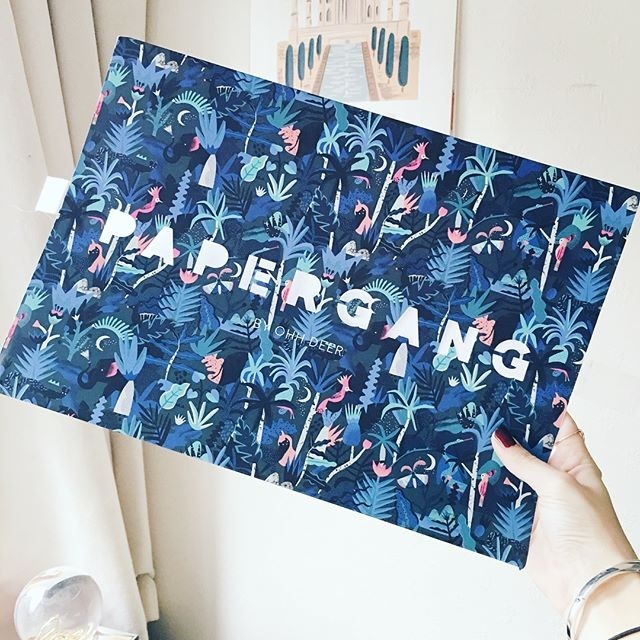 Want to design a Papergang box? We’re searching for original designs to feature as the box & contents of October’s edition. Yay! What’s even better is that you’ll win a huge £600. Simply follow how to enter below for the chance to win. Our design team will select a winning box design when the competition closes. Good luck! So what’s Papergang all about? The winning Papergang will sit alongside some incredible illustrators and designers. You'll be up there with the best. Past collaborators include; Gemma Correll, Nina Cosford, Jacqueline Colley and Arden Rose! Wowee! What will I win if my design is chosen? Your designs will be received by thousands of subscribers. The opportunity to be interviewed at Papergang.blog & featured in the box leaflet. Be included in promotion throughout the box month. Download the Papergang template by clicking the button below. This will then open in a Dropbox folder. Click "Download" in the top right corner and there you have it! When you’re happy, upload your finished work to Instagram, making sure to tag @ohhdeercompetitions & #designapapergangbox. We’ll choose our favourite design when the competition ends. The winner will be announced on the Papergang.blog Monday 2nd April 2018. You’ll need access to Photoshop or an equivalent programme to open the .PSD template. Once opened - each product is split into a folder, if you put your design in the “ARTWORK HERE” layer, it will create the mock up of that product for you. Please do not alter the layout of the flatlay. Please note: To get your designs to show up on the main art-board, please press save on the product tabs that have a new design in place. At Ohh Deer we don't often have time to answer all of your questions about using Photoshop for this competition. There are many online tutorials and forums for you to research and learn how to use the software through instead. Things to note / some boring bits! Your original image files must be at least 300dpi and please consider the item size that the images will be placed onto. (E.g, a deskpad is A4 in size, so it's best to have the original design A4). Any entries uploaded after Midnight on Monday 26th March 2018 will not be considered. *The winning artist will be responsible invoicing the prize amount, once the box has been sent out, allowing 30 days EOM. Check out these images of past Papergang boxes! See what designs we are loving already, and read some top tips on designing your box!